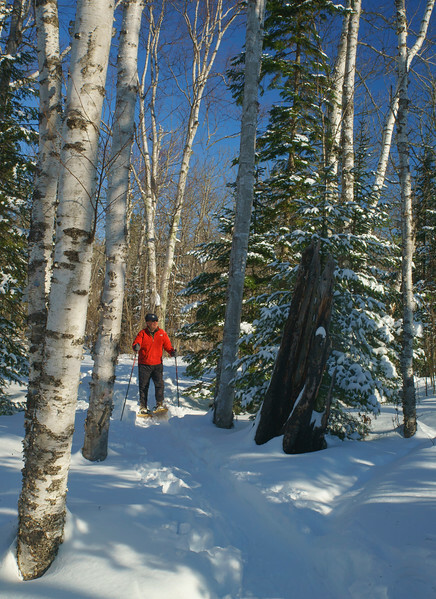 We have about 2 feet of snow in the woods so it is a great time to get out and enjoy the winter. While snowshoeing through a paper birch forest, I saw several different animal tracks. This white pine stump endured one of the fires that burned many parts of the North Shore in the early 1900’s. 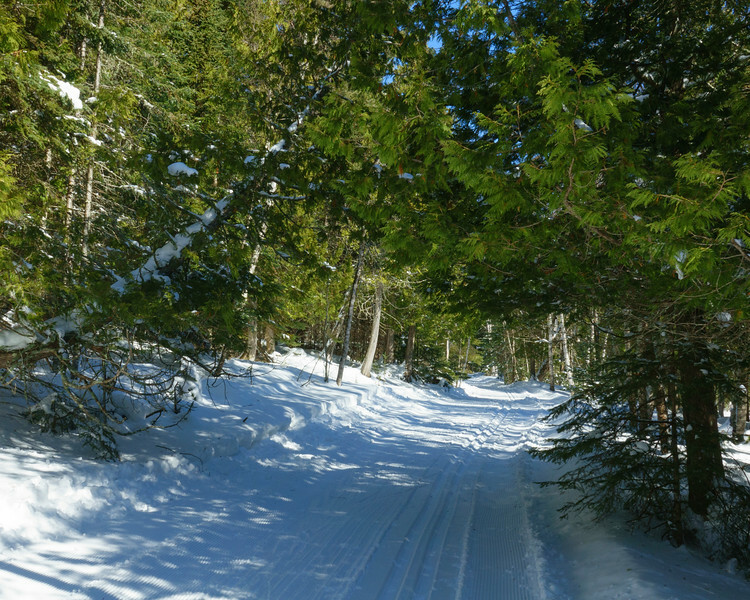 The ski trails are in great shape with fresh groomed tracks. 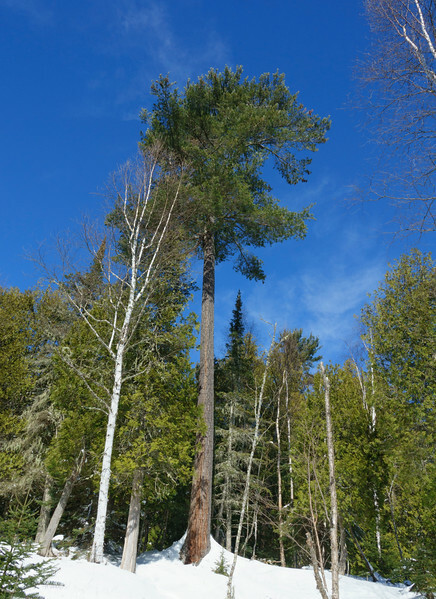 Cascade State Park has several giant white pines that tower above the forest around them. 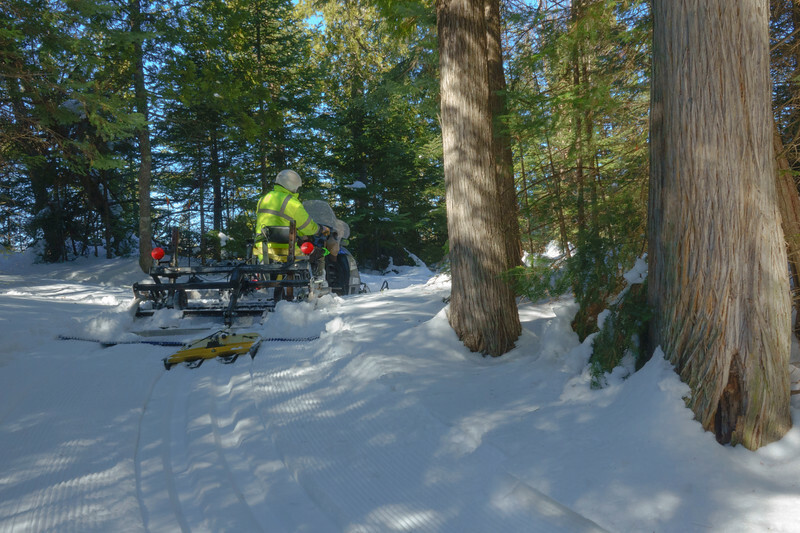 I met the groomer so I was the first person to ski in the new tracks. At the beginning of the trail there is a “Don’t walk in the ski tracks” sign. Apparently the deer ignore it! 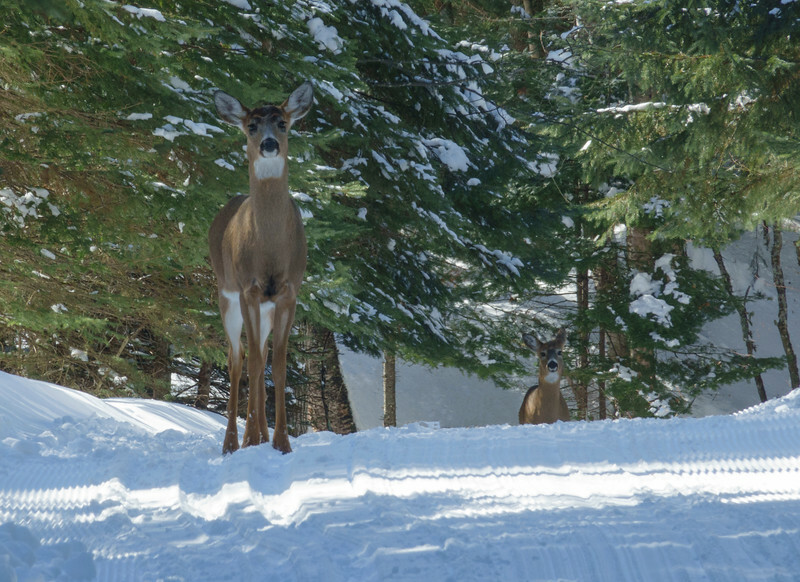 Deer are fun to see while skiing and I saw at least two-dozen deer walking on the ski trails. It is considerably easier than walking through two feet of fresh snow. Interesting things can be found while skiing. The wind peeled back the bark on this paper birch. 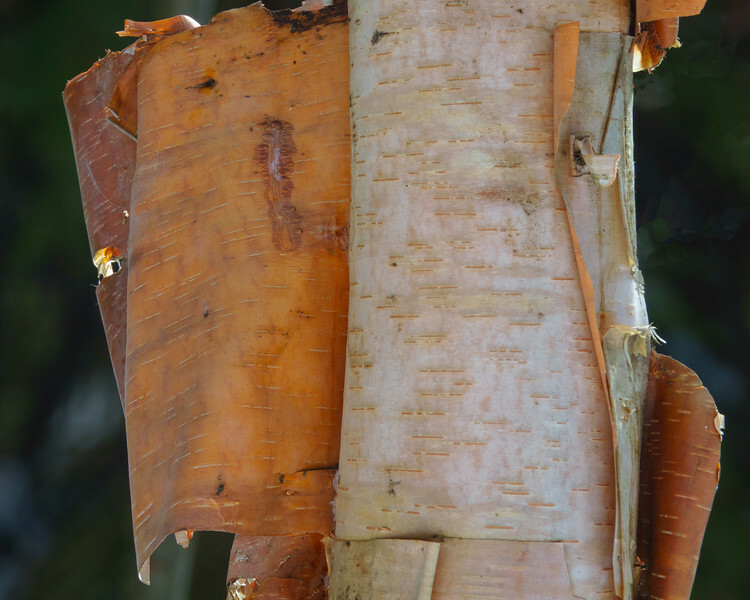 It is easy to see why this tree is called the paper birch. 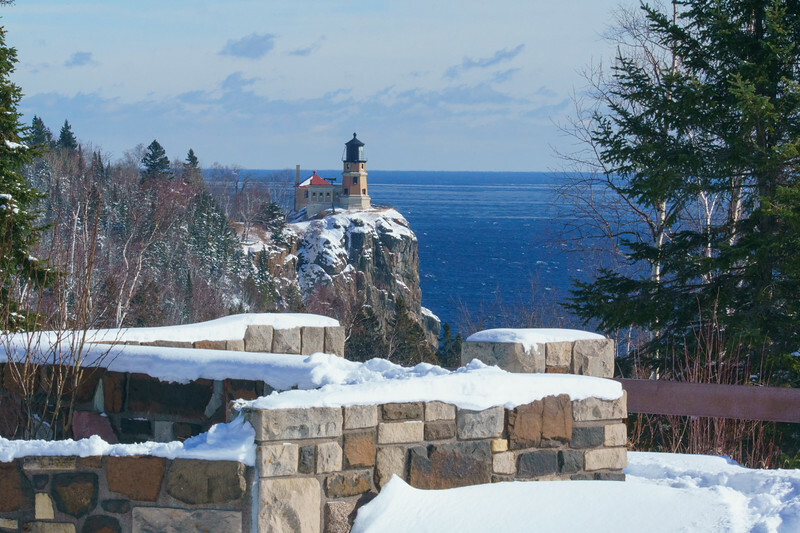 I photographed Split Rock Lighthouse with the freshly fallen snow. 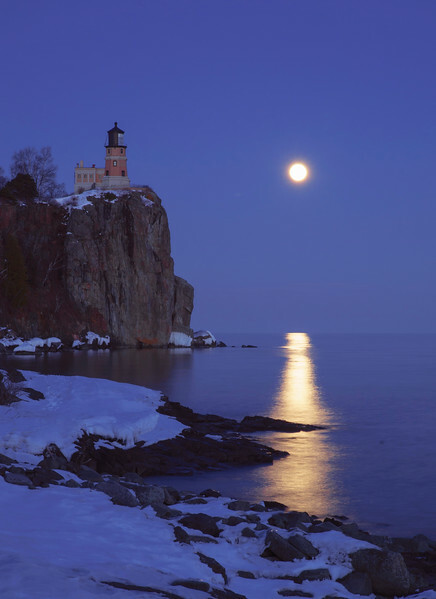 After the wind went down the lake was calm while I photographed the March full moon.